ice fjord. But all is not the fault of nature. 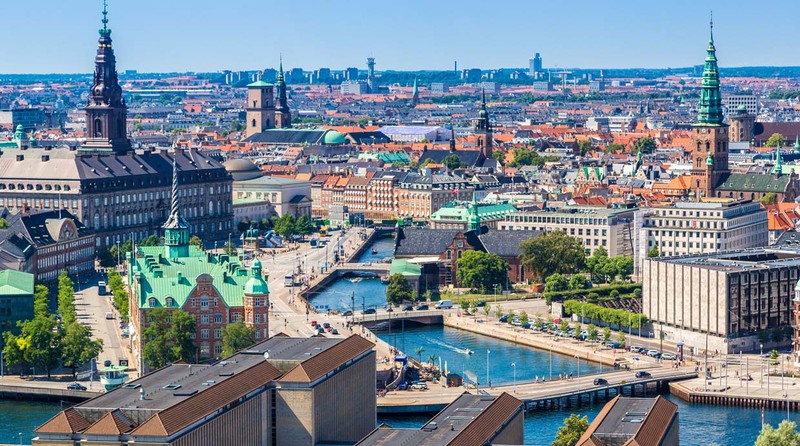 Here man has put its bit with its colorful houses, its urban plan rickety and small steeples which compete with ice floes. All inhospitable as charming. The northernmost point of mainland Denmark is marked by winds and waves that hit its fine beaches and the proud presence of this municipality. Here they make it clear that there is life with garish shades of yellow houses topped with red roofs. In addition, geographical uniqueness responsible for other icons like Vippefyr, one of the first Danish headlamps whose replica today recalls its crucial role in trade. For its part, the vagaries of sand and wind are to blame for the wonderful church buried in the sand, a unique monument and unearths buried by the vagaries of the dunes. But Skagen is also a date with culture, because here a colony of artists who, in the late nineteenth century Danish painting reformulated gathered. Today his memory remains in a friendly, pleasantly museum. Few places in Europe as well combine the charm of the past with the audacity of the future. the curious Svaneke appears in the laboratory that is the island of Bornholm, with its circular Romanesque church dedicated to San Ib, its stately windmills (which is the oldest in the country) and its succession of half-timbered houses that mark style . All more or less eccentric logic within the parameters of this island. But suddenly the water tower, designed by Jørn Utzon tank that serves as a great but surprised by its shape, inspired by the escandallos that sailors used to measure the depth of the sea appears. Saksun: a landscape that frightens and peaceful equally. The Faroe Islands are one of those undiscovered northern havens. And what better to do radical crossing landscapes as those surrounding Saksun: mountains and valleys that end in the sea. But if above the villages invite you to stay they are just revealing surprises like the roofs of the houses here. Here it seems that the neighbors have wanted to camouflage their homes topped with grass, although the main reason attends to issues of isolation. In this architectural story must add the undeniable charm fragile rest of the people, where life still revolves around the farms and the charming church. And all amid a landscape that frightens and peaceful equally. The island of Bornholm is a micro world left hand of God, closer to the Swedish and Polish coasts of the country to which it belongs. That insularity gives a special character, a halo of independent republic that takes shape in places like Olsker, where everything is exceptional. Its beautiful white houses contrast with the dark barns and green rabid nature. But most striking is its monumental round church, the largest of the four that populate the island and remains a magnificent Romanesque religious lighthouse. Ebeltoft seems a whim of the romantic route, but stay away from Bavaria. And it is that their houses timbered and cobbled streets are the perfect setting to go back and relent with his lifestyle. Above all buildings overlooking the old town hall with its roof and its pointed bell punch that finishes off a building of sad-eyes and look stylish barn. However, the sea has its pull. So it is not surprising finish watching the waves against the majesty of the Jylland frigate, a ship-museum docked at their moorings. Dragør: At the gates of Copenhagen this village that puts some counterpoint to the capital cosmopolistismo appears. Hikers bikers come here to find peace and its fishing port color therapy, real axis of the place. After wandering unhurriedly between their small boats, playing change dock cobblestone pedestrian streets that have preserved the no-is-what a lovely dazzles and appeases urbanites. The epic and cultural dot makes it a strength that has barely a century and now serves as a convention center and hotel. But in the end, the purr of the boats returned to every visitor to the sailor dream. Ribe is the principle of Denmark, bathed by the North Sea and monitored by the German border. This situation made him the first in many things, including the Christianization. So Ribe maintains its status episcopal enclave despite its small size where the steeples rend the sky. 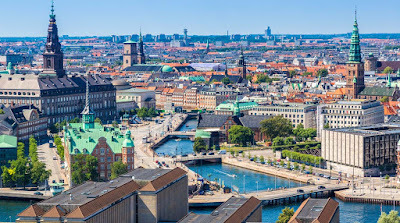 So its icon is its imposing and precious cathedral, although its streets diving for an important Viking heritage as a museum and center as well as a powerful contemporary cultural life is also appreciated. And to know his darker side is always accompany the night watchman, a character in the round summer continues to warn his neighbors that you have to go to sleep.